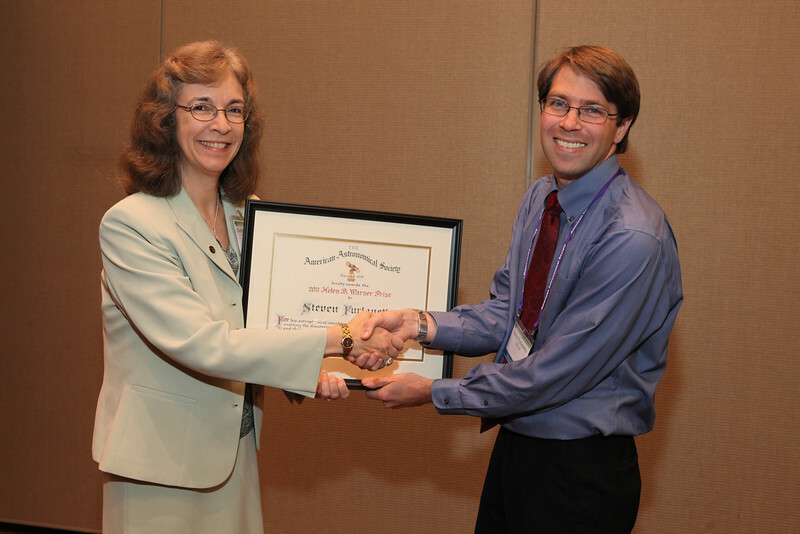 On Wednesday morning, AAS President Debbie Elmegreen (Vassar College) presented the Warner Prize to Steven Furlanetto (Univ. of Calif., Los Angeles), who then gave a prize lecture describing what we can expect to learn in the coming decade as new instruments probe the “cosmic dawn” when the first stars began to shine. AAS photo © 2012 Joson Images.